Even you do not have your own NetAtmo weather station you can now monitor all common meteorological data like temperature, atmospheric pressure or relative air humidity. Just choose one from many thousands of stations that are available worldwide, and select one in your neighborhood. MeteoStation is available as an universal aplication for Windows 10 (desktop PC and Mobile). More information about this application you can find here. Be the master of your music, decide for yourself what to play and in what order. 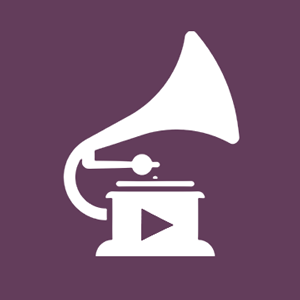 Simple and intuitive file-oriented music player. Playlists can be saved, named, and used later. Supports background music playback and player control integrates into system volume control panel. You do not need an Internet connection. More information about this application you can find here. 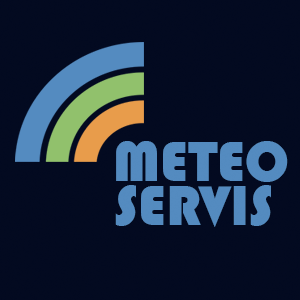 Meteoservis is a comprehensive weather service with professional background. It includes detailed forecast and weather information like clouds, precipitations, lightning activity, temperature and additional meteo information for Czech and Slovak Republic. Application is optimized for minimum network data transfer. Available for Windows Phone. Meteoservis is original Czech award-winning and popular weather application. More information about this application you can find here. Company is focused on providing software development services especially for foreign companies. Since 2004, it is mostly about development for a German company with an international scope, Albat+Wirsam Software GmbH, which offer tailored solutions for companies in the flat glass, windows and door industries worldwide. Development takes place mainly using Microsoft technology under Windows like: Microsoft Visual Studio (C,C++, .NET C#) and using complementary technologies like OpenInventor, RogueWave tools etc.